Starring: Robert DeNiro, Al Pacino, John Leguizamo, Carla Gugino, Donnie Wahlberg, Melissa Leo, Brian Dennehy, Curtis “50 Cent” Jackson, Barry Primus, Trilby Glover, Oleg Taktarov. 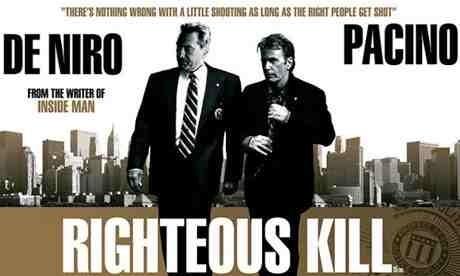 After “The Godfather part II” in 1974, it was a long wait to see Robert DeNiro & Al Pacino in another film together. With “Heat” in 1995 that wait was over. And worth it. This would have you believe you are in for another treat. Actually, you’re not. You’re in for one of the most dire, most abysmal, most predictable pieces of nonsense, your likely to see. I have never been so disappointed with a film in my entire life. 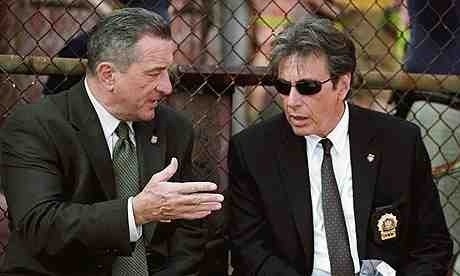 How can anything with these two great actors, working together, be bad? Here’s how… the screenplay is an absolute mess with a so-called twist that’s apparent very early on and two actors who, by the looks of it, know they have nothing to work with. Added to this, it’s all in the hands of director Jon Avnet, who is an incompetent buffoon and relies completely on the two leads carrying him. They try. In fact, if it wasn’t for them, I’d have switched it off way before the insulting conclusion. To be fair, the fact that “50 Cent” was in the cast should have been warning enough. A real waste of a great opportunity to create something special. Ultimately, it’s just a straight to TV turkey with nothing ‘righteous’ about it. This entry was posted on January 19, 2012 at 8:46 pm and is filed under Crime, Drama, Mystery with tags 2008. You can follow any responses to this entry through the RSS 2.0 feed. You can leave a response, or trackback from your own site.